Is 2018 the end of the line for small TVs? It’s time to review what we consider a small TV to be. Go back a few years and 32 inches was the norm and more than adequate for a living room. Something between 40 and 48 inches was a statement – a monolith that commanded attention. Anything bigger was an expensive extravagance. Things look very different in 2018. 32-inch TVs have fallen out of favour to the point where some leading manufacturers, including Sony, are releasing barely any in 2018. 43-inch sets still feature in brand line-ups, but 49- to 55-inch TVs are the new normal. Brands are focusing their time, resources and marketing into TVs that would be considered enormous and unaffordable just a few years ago. Why has the market shifted towards larger screens? Why are standards slipping on smaller models, and has the final bell tolled for small screen TVs? What size TV should I buy? – with recommendations for TVs at your ideal screen size. Is the demand still there? 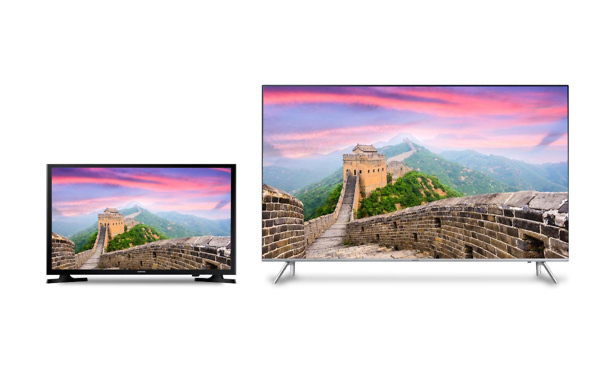 We know from our own research that people still want to buy smaller TVs. But with the market moving towards bigger screens, more people are increasing the size of their TV when they upgrade. A survey of 1,823 people conducted by Mintel in May 2017 shows that 69% increased the size of their TV the last time they upgraded, while only 22% replaced their set with one of a similar size. 4K is the driving force behind bigger screens. Of the people who owned a 4K TV, almost two thirds of them had a set with a 46-inch or larger screen. At Which? our TV testing reflects the market. Despite continued interest in smaller TVs, manufacturers are moving towards large-screen TVs, with fewer smaller models being released every year. In 2014 we tested 25 32-inch TVs in our lab. In 2015 this number dropped to 17, and after a resurgence in 2016 when we tested 29, the number dropped again to 17 tested in 2017. To continue to cover a broad range of sizes we widened the net. In 2016 we had to move away from the big four of Samsung, LG, Panasonic and Sony and test models from JVC, Bush and Technika. The number of 32-inch sets released by leading manufacturers is declining year on year. In 2017 we tested three times more 49-inch TVs than 32-inch TVs, with all but two of them coming from one of the big four brands. The table above shows the enormous shift towards larger TVs and the gradual decline of 32-inch sets. The number of TVs we review represents the TV market as a whole. 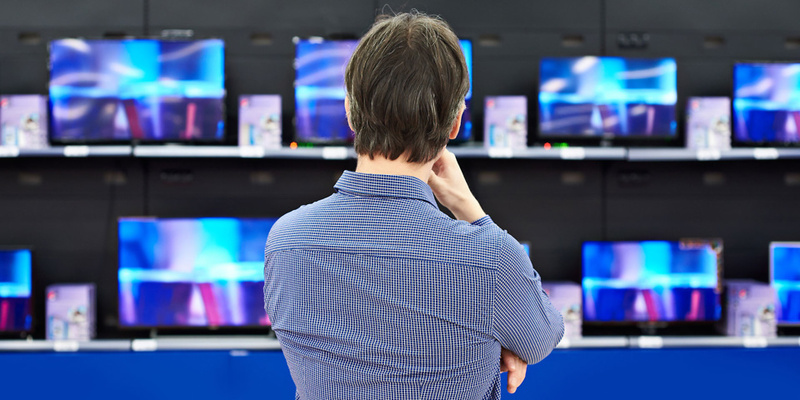 49-inch or bigger sets make up the bulk of a brand’s line-up, and 32-inch TVs are falling by the wayside. But why is this happening? What killed the 32-inch TV? 4K may not have stood over small TVs and pulled the trigger, but it certainly contributed to the demise. All the extra detail and definition of 4K is lost on a 32-inch TV unless you’re sat very close to it, something most of us don’t do. The bigger the TV, the further you can be away from it without sacrificing picture quality. 32 inches was ideal when we were watching standard definition. Get too close to an SD channel and you’ll really notice the blocky, blurry nature of the image regardless of the screen size, but the problem is less pronounced on smaller TVs if you’re sat the recommended distance from them. Now that many channels are HD, and with 4K content becoming more widely available through streaming and UHD Blu-rays, those 32-inch TVs that hid the drawbacks of standard definition are hiding the benefits of HD and 4K. Another contributor in the disappearance of 32-inch TVs is price. Big TVs got cheap and suddenly anyone looking for a bargain wasn’t automatically priced out of something approaching 50 inches. 49-inch TVs can be bought for as little as £350, and it’s not just supermarket own-brands delivering these low prices. LG and Samsung are releasing low-cost sets that don’t sacrifice screen size. As screens have got bigger, the plastic and metal cases surrounding them have got smaller. As a result, the seemingly enormous TVs dominating showrooms aren’t as big as you might think. Despite having a screen that’s 17 inches bigger, the Samsung QE49Q7F, released in 2017, is only 12 inches wider than the 32-inch Samsung UE32J4000 released in 2015. Not having a colossal black or chrome frame surrounding the screen has the added benefit of making newer TVs less conspicuous. Stands, too have become more stylish and understated. Modern TVs are also thinner, making them easier to mount on a wall, which means you won’t need a big media unit to stand them on. If you really can’t bear the thought of a TV approaching or exceeding 50 inches, then there’s always TVs such as the Samsung Frame. 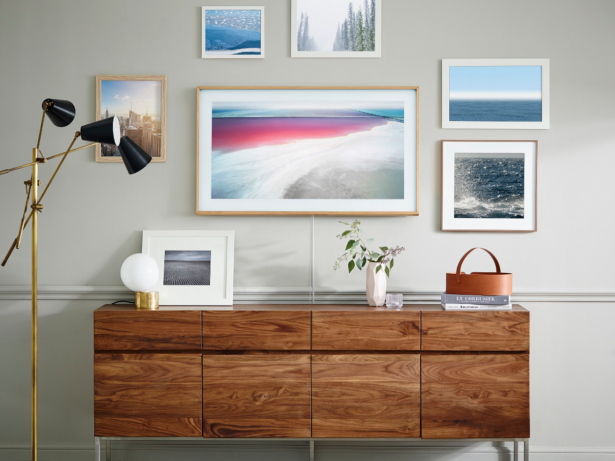 Designed to be wall-mounted, this TV mimics a work of art when it isn’t on. It can access collections from galleries around the world or you can just display your own family photos. Some of LG’s TVs do the same thing. What can you do if you still want a small TV? If you’re after a small TV, then you have still some options. You could buy a computer monitor. Monitors range from 19 to around 28 inches. Some come with built-in TV tuners, but you can buy them separately if the one you choose doesn’t. Tuners often connect via USB, so check your monitor has a spare port. If you get most of your shows from streaming services, you could also connect an internet TV box, such as an Amazon Fire TV Stick or Google Chromecast to access BBC iPlayer, Netflix and more without the need for an aerial or tuner. Read our guide on how to buy the best internet TV box for more.